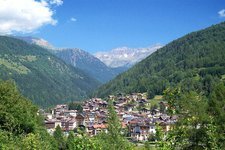 The municipality of Pejo is located in the eponymous valley, a side valley of the Val di Sole. Live webcam Panoramic view towards the valley with the village Pajo. Today we make a time travel in the Val di Sole valley in the Trentino. This valley is above all famous for its healing springs, but there is much more to discover. From the antique murals of the last water-powered mill of the valley to the Ethnographic Museum of the population of Solandro, where we can not only admire the school desks of the Austro-Hungarian monarchy, but also objects of everyday life of farmers, shepherds, women and craftsmen, who all made this valley a productive place. On the surrounding summits, however, we retrace vestiges of WWI which caused havoc and harm in this area. Accompany us on our highly interesting journey. A day in the Pejo skiing area is a perfect day for the whole family. 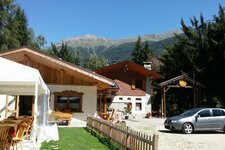 In the highest located municipality of the Trentino breath-taking ski runs amidst a fantastic panorama wait for you. 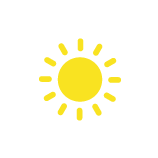 But also fun in a wild park and absolute relaxation in the soothing thermal baths at the end of a ski day can be experienced. 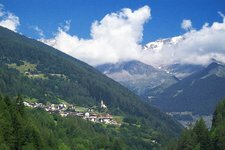 The municipality of Pejo (also Peio) has got some 1,800 inhabitants and is located at an average altitude of 1,173 m a.s.l. 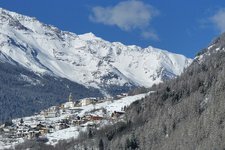 in the Val di Pejo valley, a side valley of the Val di Sole. 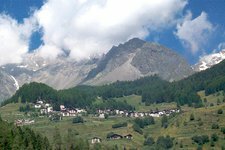 Cogolo di Pejo, Celentino, Celledizzo, Pejo Fonti, Pejo Passe and Strombiano are the villages belonging to the municipality, which is situated in the Passo dello Stelvio National Park. Characteristic for this national park, which by the way is the largest alpine nature park, are the valleys formed by glacial activity. Pejo is also a popular vacation destination both in summer and winter. 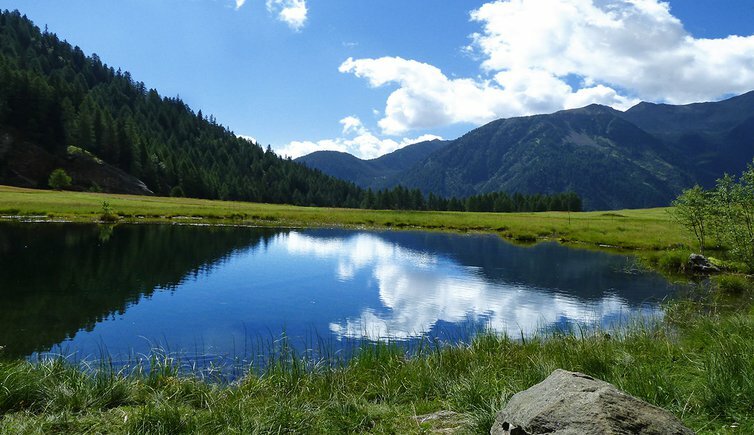 In summer season Pejo is a perfect starting point for comfortable walks throughout the national park as well as alpine hikes in the surrounding world of mountains with the Cevedale, Palon de la Mare, San Matteo and Vioz peaks. In winter season Pejo particularly attracts those who love winter sports, thanks to its modern lift facilites and qualified ski school. 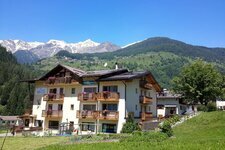 From the closely located village Pejo Fonti you can comfortably use the Tarlenta lift facility to reach the skiing area. Pejo Fonti is renown above all for its thermal baths equipped with a modern wellness centre, offering treatments for respiratory and circulatory diseases as well as skin disorders.